The Supreme Court collegium is reportedly considering elevation of Justice Manjula Chellur, Justice K.M. Joseph and Justice Sanjay Kishan Kaul to the Apex Court. Justice K.M. Joseph was in news recently after a Bench headed by him had quashed the President’s Rule in the State of Uttarakhand. Justice Manjula Chellur is the first woman Chief Justice of Calcutta High Court, and was the first female Judge of Karnataka High Court. 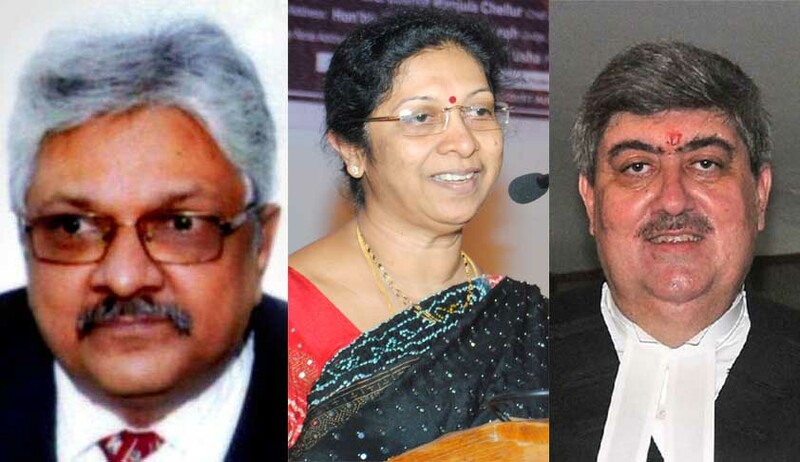 After a 15 month hiatus, Madhya Pradesh Chief Justice Ajay Manik Rao Khanwilkar, Allahabad Chief Justice Dhananjaya Y. Chandrachud, Kerala Chief Justice Ashok Bhushan, and Senior Advocate Mr. L. Nageswara Rao were elevated to the Supreme Court in May this year.